Using the most common postmortem process as the backbone of the narrative, The Chick and the Dead takes the listener through the process of an autopsy while also describing the history and changing cultures of our relationship with the dead. The book is full of vivid insight into what happens to our bodies in the end. 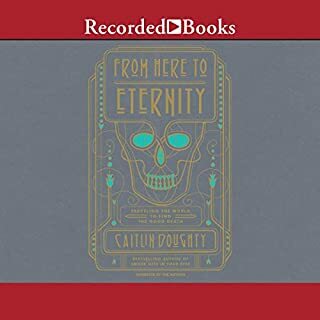 Each chapter considers an aspect of an autopsy alongside an aspect of Carla's own life and work and touches on some of the more controversial aspects of our feelings toward death. Just two months before the September 11 terrorist attacks, Dr. Judy Melinek began her training as a New York City forensic pathologist. 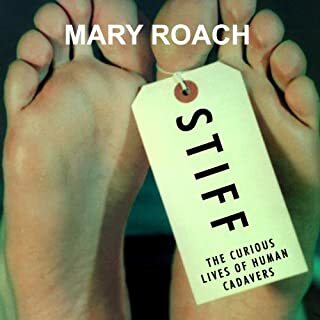 With her husband and their toddler holding down the home front, Judy threw herself into the fascinating world of death investigation-performing autopsies, investigating death scenes, and counseling grieving relatives. Working Stiff chronicles Judy's two years of training, taking listeners behind the police tape of some of the most harrowing deaths in the Big Apple. Lively, action-packed, and loaded with mordant wit, Working Stiff offers a firsthand account of daily life in one of America's most arduous professions. 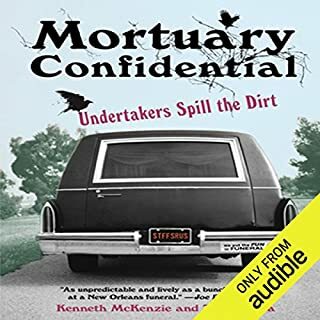 The body never lies - and through the murders, accidents, and suicides that land on her table, Dr. Melinek lays bare the truth behind the glamorized depictions of autopsy work to reveal the secret story of the real morgue. 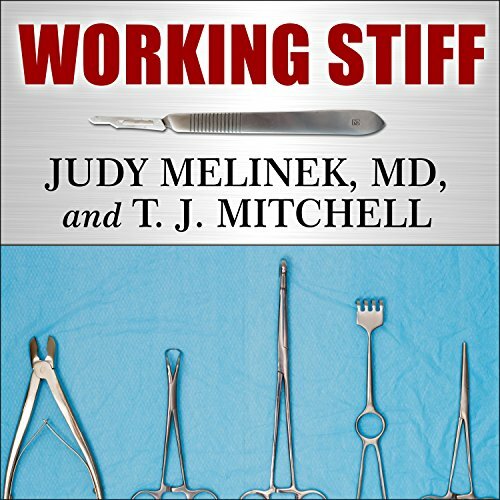 Dr. Melinek has written a fascinating and compelling book, and does a good job at showing the human aspects to her job as a medical examiner. 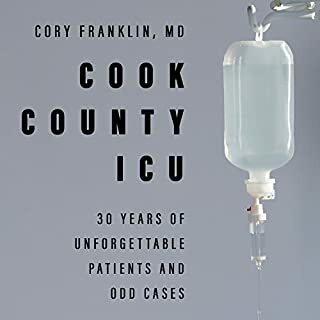 Some of the details of what happens in an autopsy will make your skin crawl, but let's be honest, that's partly why you buy this sort of book. The case histories are all interesting, if sometimes disturbing or heart-wrenching, but she comes across as a thoughtful professional who does a difficult job with dedication and compassion. The majority of this book is similar to what's found in Stiff, and the Poisoner's Handbook, and will very much appeal to fans of those books. But this book is more than that. Dr. Melinek was working for the Office of the Chief Medical Examiner of the City of New York on 9/11/2001, and she offers a look into what happened out of the public's view in the weeks and months after the attacks. 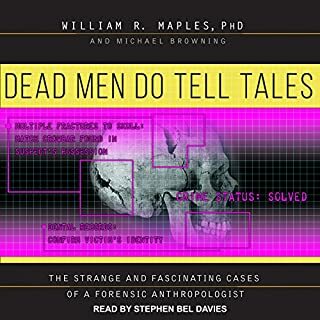 If you think you might be interested in forensic science, I cannot recommend this book any more highly. Great story - but not for the faint of heart! If you could sum up Working Stiff in three words, what would they be? The in depth look at a world I'll never be in - forensic pathology and autopsy. Great voice, perfect for the story. No. It was a challenge. The details of the tragedies involved - Sept. 11 2001, the later air crash in the Rockaways, even the everyday deaths she investigated, were sometimes very tough to hear. I was glad to reach my destination sometimes, just so I could take a break. This book is NOT for everyone - with vivid descriptions of the injuries of the fatalities from Sept. 11, the AA flight that crashed in the Rockaways a few months later, and some gruesome cases from routine crime in NYC, I'd advise anyone who is sensitive to death or squeamish to find something else. However, if you are of a scientific or medical bent, love to hear about specialties and jobs most people will never have, and want the true story, this is for you. It's very, very well done - but some of the phrases will haunt me for a while. One of the best medical books for audio!! Would depend on the friend - it's not for the squeamish. I thought the reading was very easy to understand - I learned a lot about this subject. If you were ever curious about what really goes on in a morgue - this is the movie to see!! I thought this book was one of the most informative medical books (for people not in this industry) to read! The whole book was read with clear descriptions & terms that anyone can understand. I wish Dr Melinek would write more autopsy books & Tanya Eby narrate! Very bummed when it was over - wanted more!! This is a great book. Most people will probably be drawn to it superficially because of the 9/11 connection. However, the 9/11 information is probably the least interesting part of the book. Most of what Dr. Melinek had to work with were tiny pieces and fragments. The rest of the books is absolutely fascinating. There's just the right blend of clinical, interesting science, and riveting storyline. For anyone who is squeamish or easily offended by death and dead bodies, this is probably not a great listen. But for everyone else, it's a good book. There's a lot of blending of Dr. Melinek's personal history in with the work she was doing. At the end I was hoping she would write a follow-up about her experiences in California. To me that's the mark of a good book -- wanting another. I found the narration to be good until she had to do male voices....it was frankly, grating. Really bad at male voices. What disappointed you about Working Stiff? The story is great...no problems whatsoever with the author's work. The story was simple, direct, disgusting, surprising, sometimes funny and always educational. If it wasn't for the reader's melodrama-saturated reading, this would be an excellent listen. The story is great...so interesting, educational, surprising, even funny at times. However, the narration is almost impossible to listen to. The reader works SO hard to include two or three different voice inflections in every sentence - it sounds like she's doing a skit on Saturday Night Live. She reads sentences like, "Then I removed the top the skull and used my index finger to detach the brain stem from the...." with so much drama and voice inflection that she sounds like she's doing a stand up comic routine. The author's day to day duties and tasks are saturated with so much surprise, sarcasm, disgust, alarm, incredulity and any number of other random emotions that the writer is stripped of all professionalism and maturity. 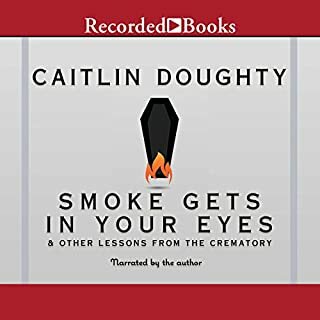 The narrator reads conversations between people who are discussing the mechanics of dealing with a corpse in the morgue like she's narrating two junior-high girls discussing their most recent drama-inducing break up. It's almost impossible to listen to this reader take this obviously intelligent writer's work memoir and reduce it to what sounds like a bad TV sitcom. And, if that wasn't bad enough...she reads much too fast. Absolutely - the story itself is great. I wish I would have purchased the book as a hard copy. I got Working Stiff on sale and for the sale price it was a decent buy. This non-fiction first person account of a young woman's introduction into a fascinating profession is quite interesting and occasionally even engaging, but it read like a story with unrealized potential. The narrative moves back and forth in time and is often disjointed. Some chapters are simply one case description after another; most have a brief explanation of the crime or death scene, a more detailed review of the autopsy, and little or no case resolution information particularly for the homicides. (Melinek repeatedly closes a story with, "I never knew what happened to so & so" or "I never learned if charges were filed".) Although I have spent my long career in technology, I have a degree in BioMedical Science so I enjoyed the autopsy detail (sounds way more interesting than straight on anatomy lab dissections), but I didn't learn much new and in giving the reader so little information on how the ME's findings are used, much of this seemed a bit purposeless. I realized that there's a good reason that famous fictional biological forensics (ie Quincy or Bones) is coupled with police and legal work. Who really cares that there's a notch on a bone if you don't know whether that info sent the bad guy to jail? In addition, Melinek and her co-author husband, sort of randomly throw in information about her personal life with her husband and kids, but none of those pieces provides much enlightenment or enhances the narrative. It just makes the book seem even more disjointed and like the authors were searching for a unifying theme without success. Tanya Eby did NOT help this audio book at all. Her voice is fine and since this is non-fiction, I think she'd have done better just reading it straight up. Unfortunately, she attempts to give characters unique voices and her voices (especially for men) are really bad and pull the listener out of the story. (Eby actually voiced one of the women using that awful made up "MidAtlantic" accent that was so popular in 1940's Hollywood!) And, although I can appreciate the difficulty of proper pronunciation for a book with MANY medical and biological terms, it's the narrator's job to get those right if that's what the author wrote. Eby frequently mispronounces words like ketamine and trabeculae. Ultimately Working Stiff reads like it was written by someone who without choice became part of a world event and then capitalized on that tragedy to sell a book that doesn't really have anything unique or important to say about that event or about being a Medical Examiner. The book is too short in length and substance for me to recommend it at full price. Many times I found myself not wanting to stop listening to this one. There are a series of shorter stories within this book which I thoroughly enjoyed. It was an interesting look into what causes death and she approaches the subject in great detail. It is somewhat clinical but very accessible to someone outside the medical field. If you have a morbid curiosity this is a good choice. I was never bored throughout this listen. In previous reviews there was mention of her change in tone for men and women, which didn't bother me much. The narrators chipper tone actually made more of the gruesome parts less dark. I would sample the audio before just in case. What did you love best about Working Stiff? Dr. Melinek has a winner here. This is at the top of the list for my favorite books. I found myself reading slowly, because I didn't want the book to end. I will be waiting for future works from Dr. Melineck! A window into a truly unique world. A window into a truly unique world. if your curious to learn a little about this unusual profession this book will provide just that. not for the faint heart. great narration.